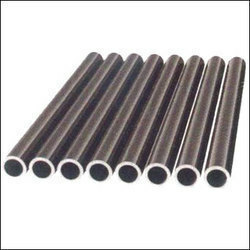 Exporter of a wide range of products which include duplex fabricated tubes. We manufacture and supply extreme quality Duplex Fabricated Tubes that is used for transferring high pressure of liquid substance and are available in different specifications. We are widely renowned in many small scales to large scale petrochemical plants for providing complete solution of Duplex Fabricated Tubes. We do International standard packaging of these Duplex Fabricated Tubes as to export these in various parts of the world.